Shop this Indian Handmade Wool Area rug which is woven in pure New Zealand wool and cotton material. This carpet is suitable for a bedroom as well as for a living room. Give a jewelled look and a luxury feel to your home décor by placing this gorgeous handknotted carpet. It is woven in Pure New Zealand wool and cotton material. The ground of this carpet contains tiny motifs and gives a classy look. 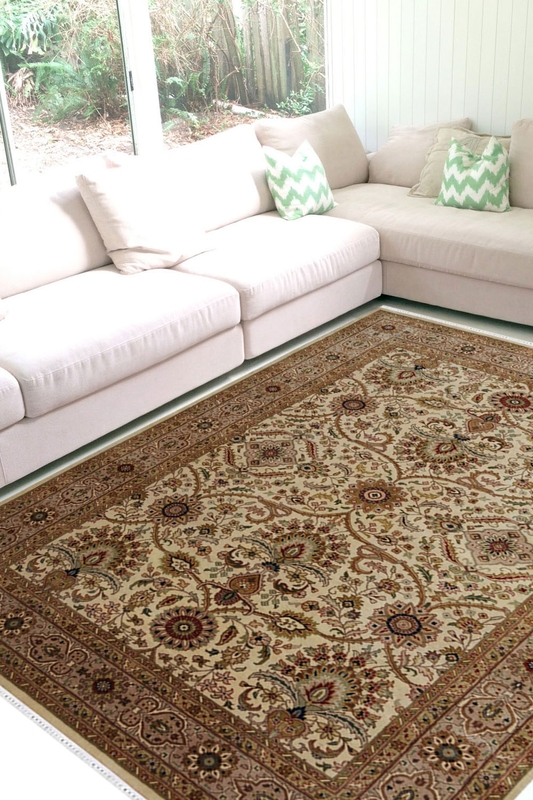 The ground of this rug is in Ivory color with gold motifs. It has taken about 7-8 months to weave this "One of a kind" design. This is one of our favorite rug from Rugs and Beyond traditional wool carpet collection.